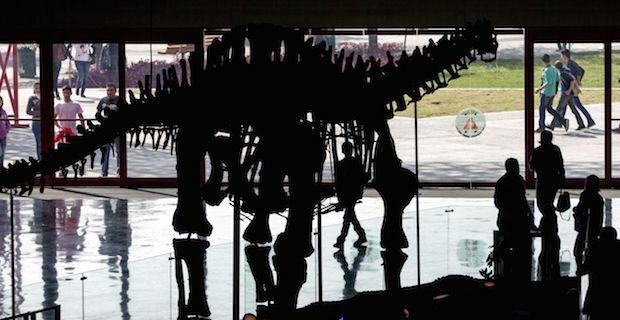 Dino fans will be over the moon to hear that Brontosaurus has officially been reinstated as it's own class of dinosaur. For about 112 years, the hugely popular dinosaur has been classed as a sub-species of another species which looked very similar to it but new research has shed light on important differences between the two. Way back in 1903, a palaeontologist decided that it was just another form of Apatosaurus and did not deserve to maintain its' own class. The mistake is an easy enough one to make as the Apatosaurus also was a huge species with a similarly elongated neck. However, in the tradition of palaeontologist Othniel Charles Marsh who named the creature in 1879, a new study has recognised the distinctiveness of the Bronty. The main distinction comes in the necks as Bronosaurus had a high and tall neck while Apatosaurus had a wider neck. Author on the research paper, Emanuel Tschopp, was proud of his study saying "It represents all the scientific progress that has been done and has happened since the early 1900s. (Brontosaurus) looks different than how they saw it in the late 1800s and early 1900s." Given that Brontosaurus has such a big place in people's hearts whether through fiction or through science class, it is only fitting that one of the largest creatures to have ever roamed on land be recognised in such a manner. This study has ensure that science has righted a mighty wrong and placed Brontosaurus in a genus all of its' own once again. For now.